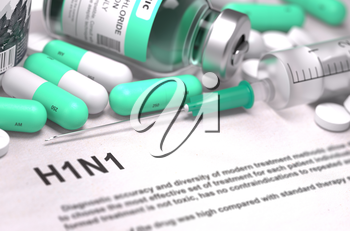 Diagnosis - H1N1. Medical Report with Composition of Medicaments - Light Green Pills, Injections and Syringe. Blurred Background with Selective Focus. 3D Render.